So many new things coming to Google, but most of all within AdWords. We’ve talked about the changes with Google AdWords’ new interface. Now, there’s a new interface for Google’s Keyword Planner Tool aka GKP Tool. 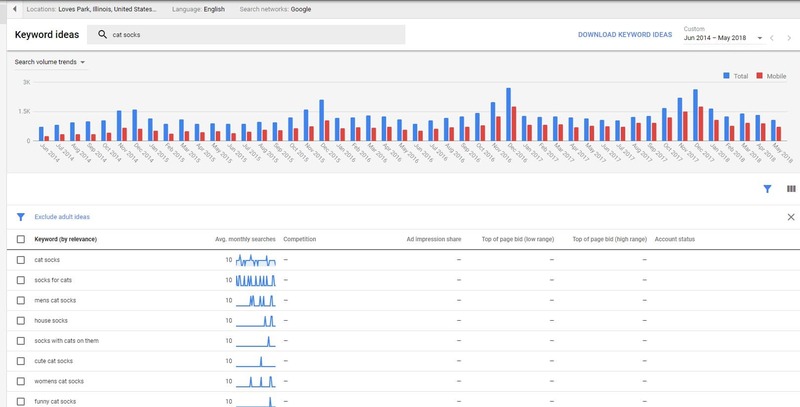 Where to find Google’s Keyword Planner Tool? Inside Adwords. Once you are logged into an AdWords account, simply click the wrench in the top right corner, and select Keyword Planner under the PLANNING section. A screenshot below for the visual. Here we go! Very simple first step to guide you to what you’re looking for with the initial fork in the road. Are you trying to find keywords, get keyword ideas, discover new keywords you didn’t know were out there for your business or service? Or maybe you already have specific keywords you’re targeting, and you want the data on just how much those keywords are searched. Other than the look of the new interface, it doesn’t look like much has changed, right? Trust me, plenty has changed. Some good, some bad…we’ll go through that here. PRO: You can put up to 3 keywords when looking for keyword suggestions, and you’re also given the ability to enter a URL for more suggestions. Some see this as a con because they were able to put in more than 3 keywords at a time when looking for suggestions, but truly, if you want more accurate data, the algorithms are probably better fed with the less-is-more approach. PRO: Timeframe! You can look at data all the way back to 4 years instead of just 1 year. Now that’s a lot of important data for those annual data junkies like myself. CON: Google is offering fewer suggestions for keywords. Where you might have had over 500 keyword suggestions, now you may only have around 300. Still, as an SEO and PPC professional, that is far more than enough. If you’re familiar with these suggestions anyway, you know the majority of these ‘suggestions’ don’t really apply to what you’re looking for. I usually drill down keyword suggestions to a top list from 10, 20, or 100 depending on the client and keywords. CON: Keyword filters have been reduced. Instead of being able to search for keyword info based more closely to ‘exact matches’ Google is now giving data only on a phrase or broad matches. In summary, I like the new interface, others don’t. Maybe it’s just where your personal preferences lie when it comes to keyword data collection. The overall benefits, in my opinion, outweigh any of the cons listed above.